At Judith C. Garcia in Jackson Heights, New York, clients facing a range of civil issues meet with an experienced and knowledgeable attorney. From bankruptcy and real estate issues to Social Security Disability, immigration and unemployment matters, this law office has a reputation for exceeding clients' expectations both in terms of results and in personalized representation. 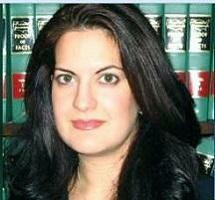 Any of the cases Ms. Garcia handles present major decisions that could affect a client's future and finances. She skillfully helps people navigate these matters by informing them of their options and keeping them apprised of any change. In addition to comprehensive representation, Ms. Garcia also delivers exceptional customer service. She understands that the people who seek the help of her law office not only need legal guidance but also a confidante. She listens as clients share their concerns and uses that input to help them move toward a better tomorrow. Judith C. Garcia speaks Spanish and accepts credit cards. Judith C. Garcia is a debt relief agent. She helps people seek bankruptcy protection under the U.S. Bankruptcy Code.